Processed food is a funny thing. Crescent Rolls. Kellogg’s Pop-Tarts. Duncan Hines Classic Vanilla Frosting. All things you’d think I’d be allergic to but contain 0% dairy. Praise the food Gods. The crescent rolls come in particularly handy when making mini quiches. Pie crusts are usually safe as well, but why cut something into 12 pieces when it’s already been done for you? I’d been craving quiche lately after seeing L make one. I took some inspiration from the “I LOVE BACON!” book’s Bacon, Asparagus, and Gruyere Quiche. The bacon book’s recipe used a lot of heavy cream and whole milk though. While I can find those soy substitutes, I was looking for something lighter and found a little inspiration from Eatingwell.com too! Pre-heat oven to 350. Grease a muffin pan liberally with cooking spray. Line muffin cups with crescent rolls, cutting dough to fill in holes when necessary. On medium heat, fry up bacon in a large skillet. Crumble or chop bacon into bite-sized pieces. Whisk together eggs, egg whites, and milk in a small bowl. 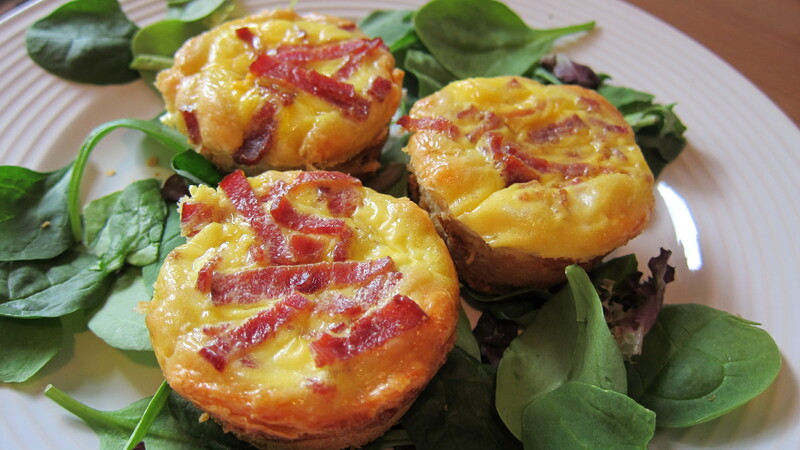 Sprinkle bacon, asparagus, and cheese into individual cups. Divide the egg mixture evenly among the cups. 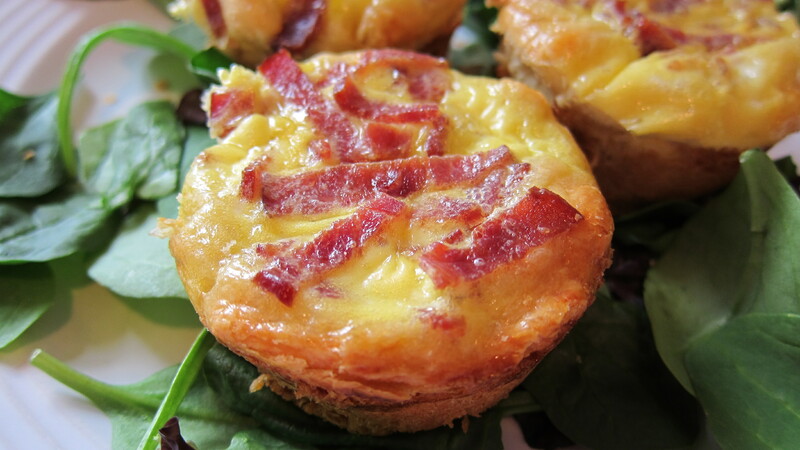 Bake mini quiches until the tops are light brown about 25 minutes. Hopefully the quiches won’t stick too much, use a knife to loosen if needed. Savor bacon, cheesy, buttery goodness with a little less guilt =). Those look beautiful, and I ber they taste amazing. Bacon and asparagus? Sign me up.